Things are about to get real at Buffalo Bike Tours – the season starts May 1st! Spring had finally sprung. Now what? The answer in obvious: get on your bike and book a Buffalo Bike Tours ride! And no better way to spend your weekend than checking out the Buffalo B/Sides Ride. What’s that? The B/Sides Ride is Buffalo Bike Tours’ first bike tour – started last year – and it celebrates Buffalo’s unsung history. It shows an alternative narrative, connecting the city’s storied past to its present-day resurgence through unforgettable stories, songs, humor, and local insight. Topics on the B/Sides Ride include the city’s significance to the labor movement, civil rights, legendary music clubs, stunning public art, and LGBT/ alternative culture. Whether you’ve lived in Buffalo your whole life or you’re a first-time visitor, this bike tour is guaranteed to provide a new perspective and appreciation for the city! An introduction to Buffalo history and how it has shaped the city we know today. Wild stories of Canalside, the city’s historic red light district. Buffalo’s first African American community and the underground railroad. Strikes, Anti-Communist raids, and the American labor movement. Tales of resilience and community organizing. 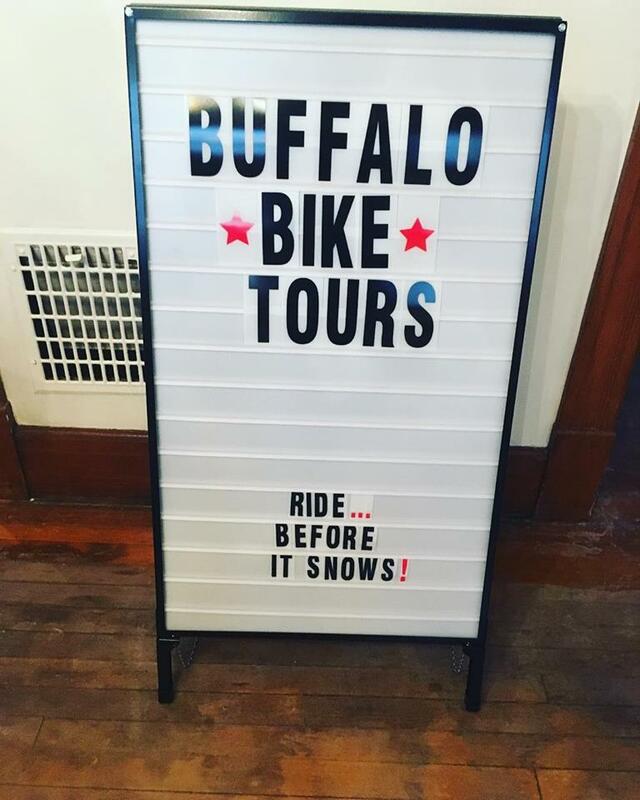 Don’t miss out – get your tickets for the B/Sides Ride on the Buffalo Bike Tours website and experience Buffalo by bike – the most fun and best way to see the city!